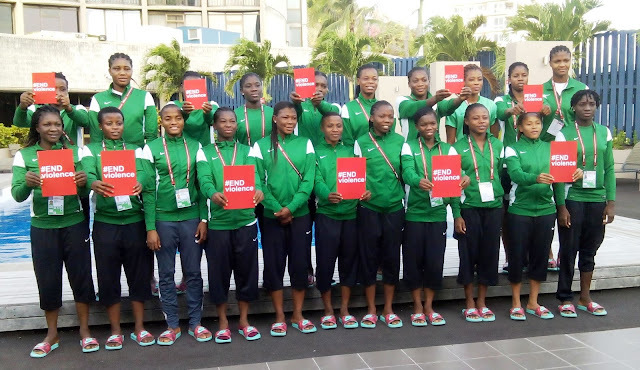 Edo State Deputy Governor, Philip Shaibu, was in his elements as he went to the Samuel Ogbemudia Stadium to train with Nigeria’s Women U20 national team, the Falconets on Wednesday evening. Shaibu, who has been a major light in the saddle of Governor Godwin Obaseki, said he came to train with the team on the orders of Obaseki, who has promised that state matters permitting he will be physically present when the Falconets take on their Tanzania counterparts on Saturday in the modernized city of Benin. Before the deputy governor’s training with the team, the Commissioner for Youths and Special Duties, Mican Aimonokhai, had visited the team and assured them that the Edo State government was all ready to take very good care of the national team ahead of the World Cup qualifier. Also the duo of Edo FA Chairman, Frank Ilaboya and Nigeria Women’s League Chairman, Aisha Falode, say they have been mobilizing at all levels to ensure that the team win and win well the duel against Tanzania on Saturday. “The team is staying at Prestige Hotel in our capital city and they are enjoying the best of Edo hospitality”, Ilaboya declared. Falode on her part, said despite her tight schedule with the Aieto Cup championship, her team was already on ground to ensure that the Falconets get all necessary support that will give them victory on Saturday in Benin City. “We have decided to do this job selflessly and here we are on the brink of another World Cup, coming to be done in my home state, all the support the team need will be provided on all fronts and I have been assured by Governor Obaseki”, Falode stated. The Tanzania U20 side is expected in the country on Thursday and all logistics have also been provided for the team to ensure their easy stay and the usual Nigerian hospitality during their stay in the country.